Fragrances, Cosmetics, Apparel, Handbags, Footwear, Children's Apparel, Home Essentials and many more! FREE RM30 Metrojaya Gift Voucher when you spend above RM300 in a single receipt with your Maybankard Credit Card. * Limited to the first 100 Cardsmembers daily. * One per Cardmember and while stocks last. * Payment must be made using Maybankard MasterCard and Visa Credit Card only. 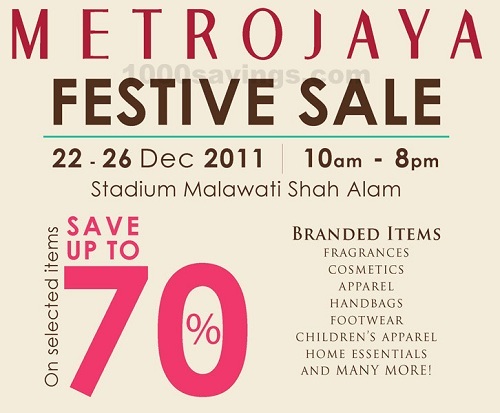 What's more, you can also be the lucky one to win one of the 3x RM50 Metrojaya Gift Voucher to be drawed daily at 8pm!